"Should I wear a jumper or a jacket? No need to decide with this key piece. Without sounding like an infomercial, I’ll make a sales pitch on this Merino blazer: YOU. WILL. WEAR. IT. EVERYWHERE. I guarantee this is the most wonderful hybrid piece you’ll ever come across." 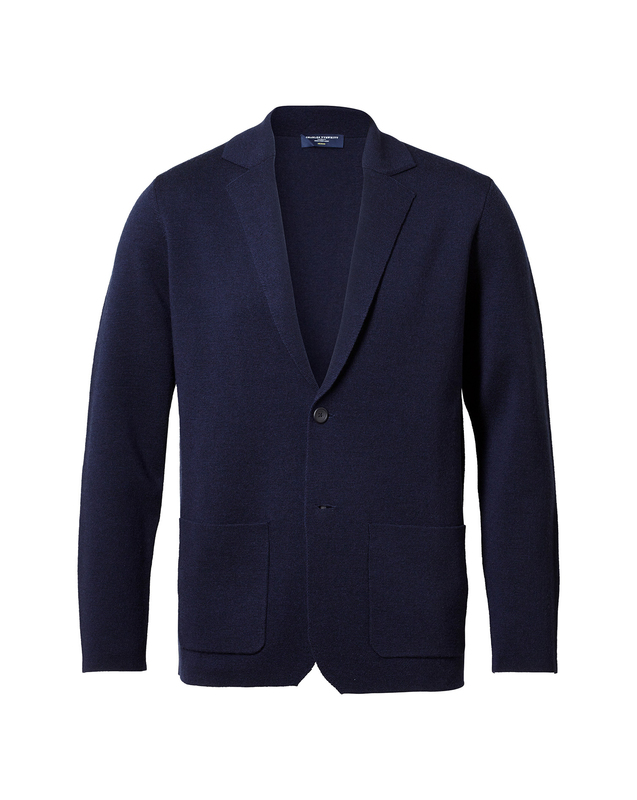 "100% merino wool year-round wear blazer knitted to a flattering silhouette, ideal for modern business casual looks." All garments fitted well ...i got some clothes for my father and they fitted very well too. i would not hesitate telling folks about this company reasonable prices .. THANK YOU FROM A SATISFIED CUSTOMER..